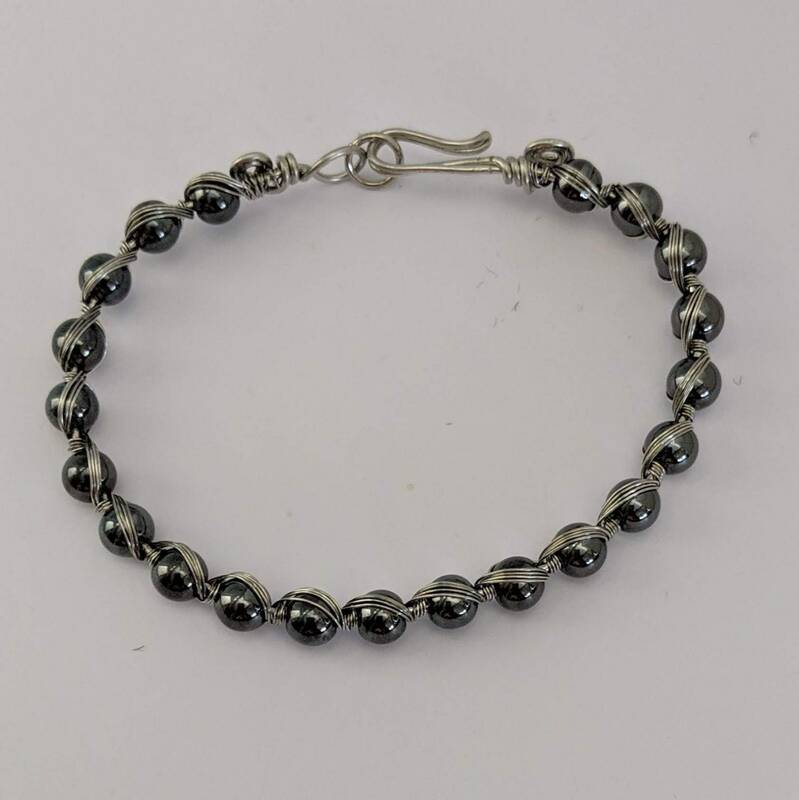 A unique bracelet made of 6mm hematite beads that have been woven with silver plated jewelry wire in a 4 strand snake weave. 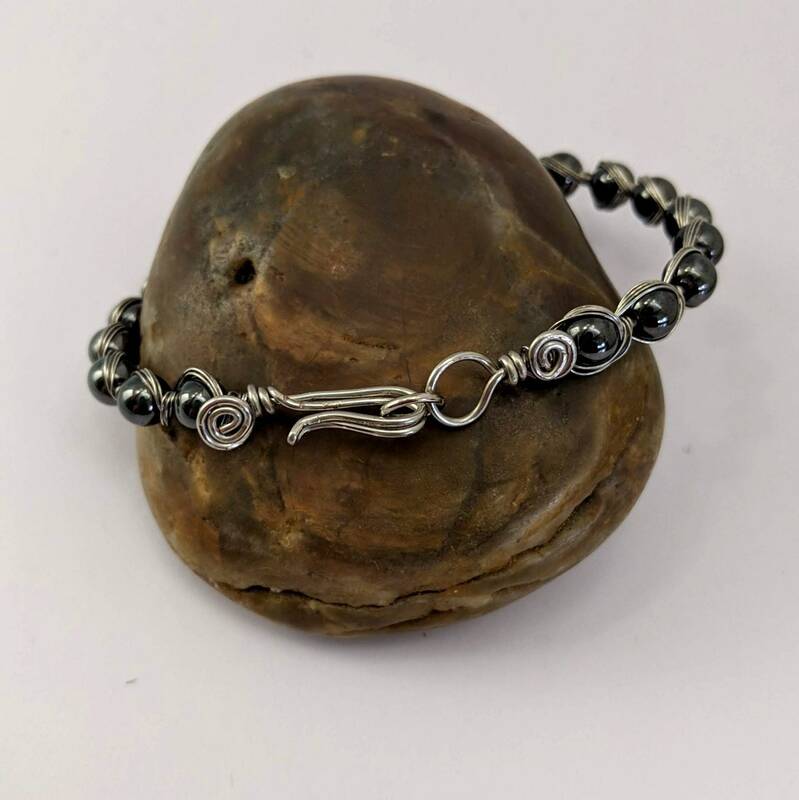 There are sacred spiral at each end with a handmade hook and eye closure. Measures approx. 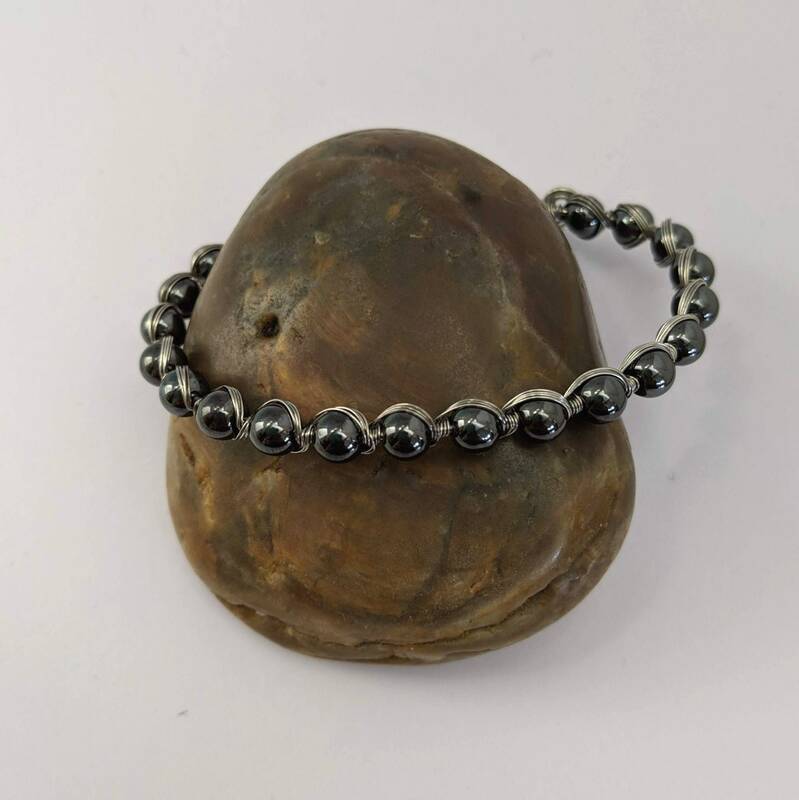 7" and fits a 6 1/2" wrist. If you need a larger size, just let us know. Only 1 in stock! We ship via USPS Priority Mail insured so that your will received your order in 2-3 days once the package is posted, plus you can track it on-line. 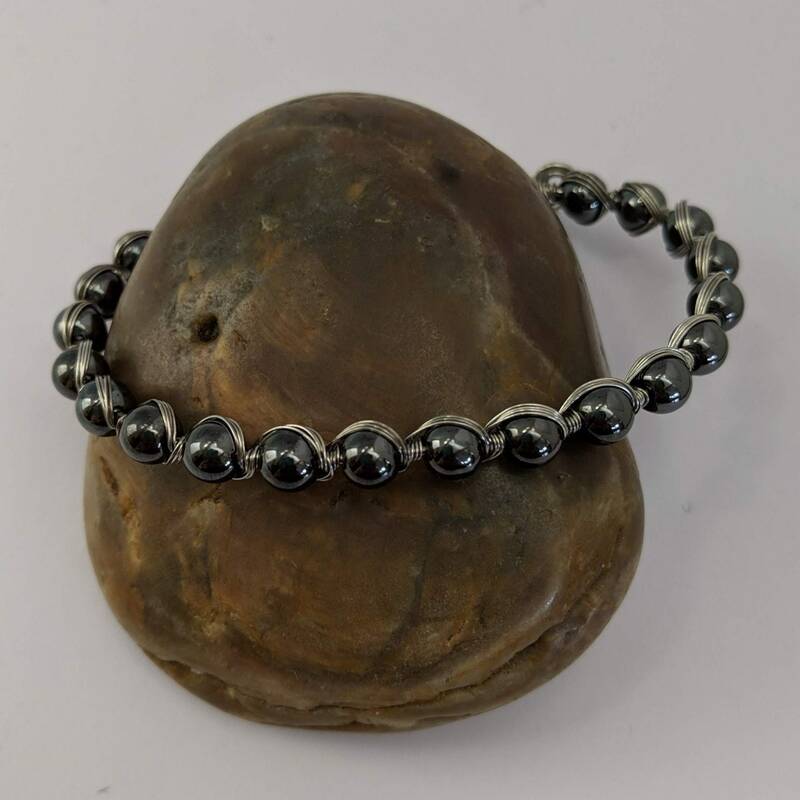 HEMATITE (sold as "Volcano Spit" in Italy and elsewhere due to its name from folk lore) contains opposite energies - male/female, yin/yang - allowing the balancing of both and the manifestation of Light. It lends strength and courage while moving through adversity which enables one to see the silver lining in dark clouds and the light at the end of the tunnel. This is the oldest symbol known to be used in spiritual practices. It reflects the universal pattern of grown and evolution. 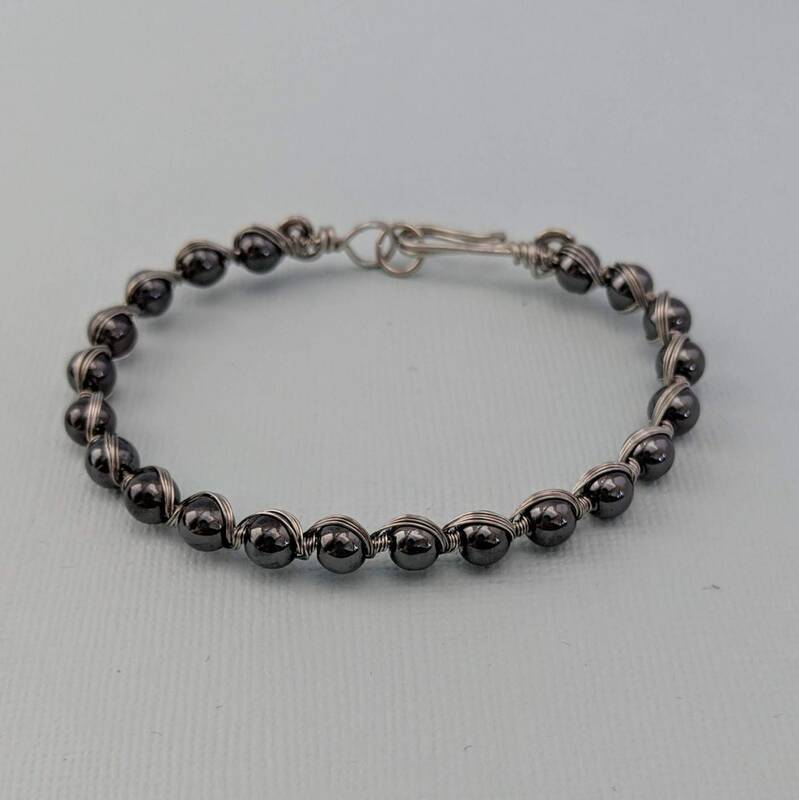 It helps consciousness accept the turnings and changes of life as it evolves. The acceptance of change is one of the greatest freedoms a human can experience, putting consciousness in the present moment where the POWER OF CREATION is condensed.